Creates a protective barrier to reduce effects of rubbing and chafing. Leaves skin soft, dry and feeling healthy. 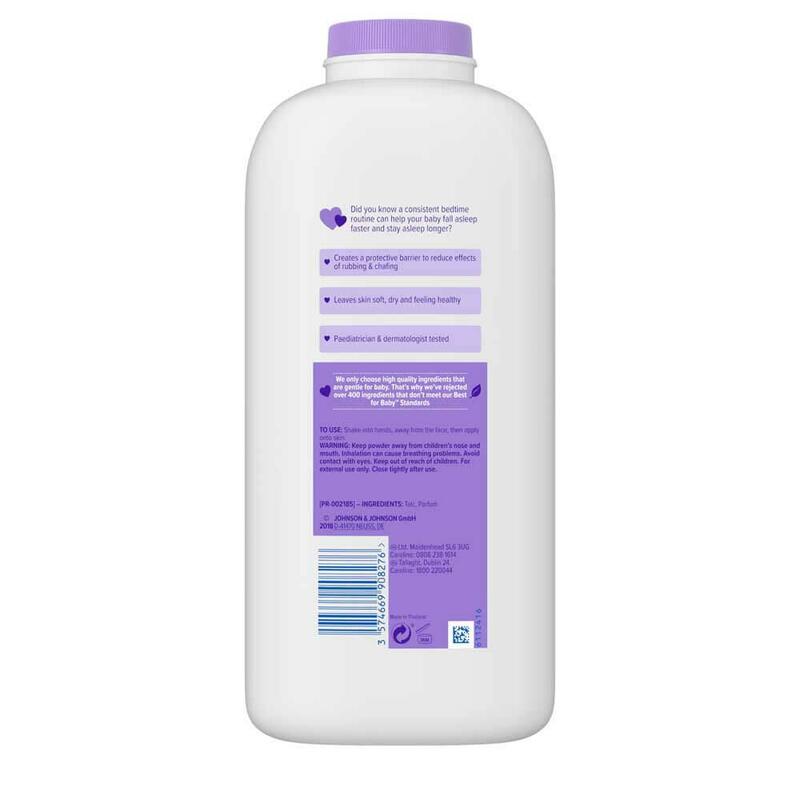 Soothe your baby’s senses after bath time or after a nappy change with bedtime powder. Our bedtime powder gently absorbs excess moisture to keep skin soft and dry during the night. Shake bedtime baby powder directly into your hand, away from the face, before smoothing onto skin. Perfect for use after a warm bath and nappy change to help skin feel soft, fresh and comfortable. Close container tightly after each use, and store in a cool, dry place. I use all of this range on my baby and on myself also. It smells very similar to the dreamy cream that they used to do and is just delicious! The powder is very gentle and a lovely post bath time routine for us. Makes my little girls skin so soft! Bought this since my little girl was born a year ago and have not used anything else, she is in a routine of bath, bottle and bed. This powder settles her down after an exciting time splashing about :) definitely would recommend! 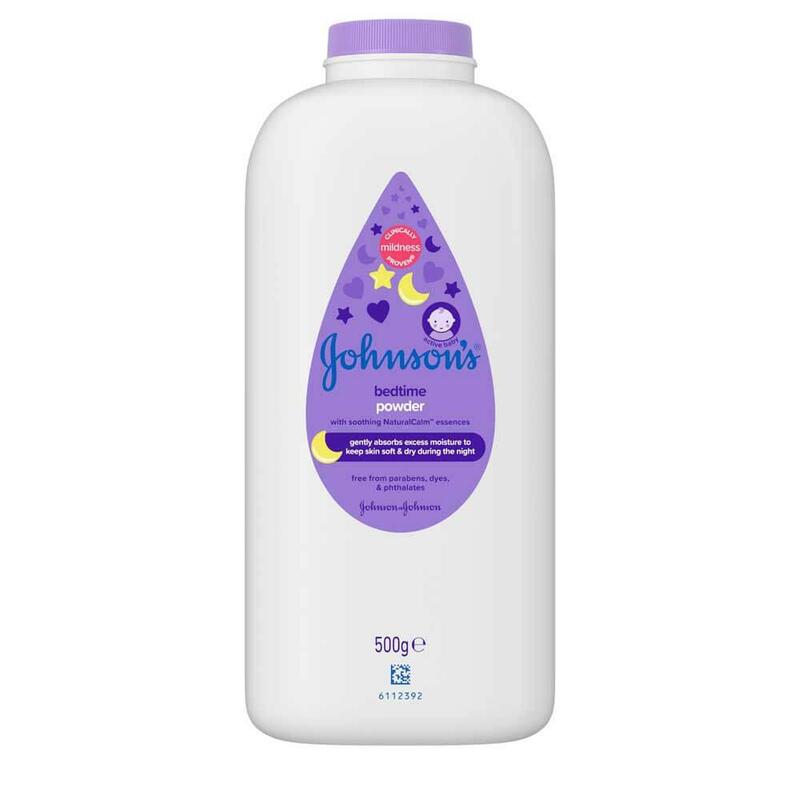 I first bought Johnson's baby powder many years ago when my sons were born. When my grandchildren came along I started to buy the Johnson's baby bedtime powder. I love the smell and it's so gentle that I also use it each day myself, after a shower.